Minimum quantities of 90 apply. 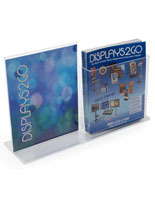 Brochure Holder with Sign Frame- This is a two in one unit! 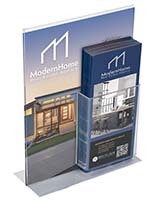 Display your brochures while at the same time displaying your sign advertisment. 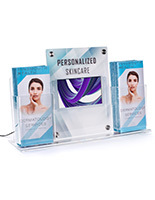 This sign frame is one of our many acrylic displays that hold 8-1/2" wide x 11" high printed signs. 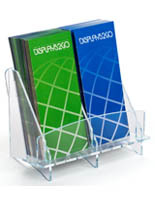 The literature is displayed in two attached brochure holders on either side. 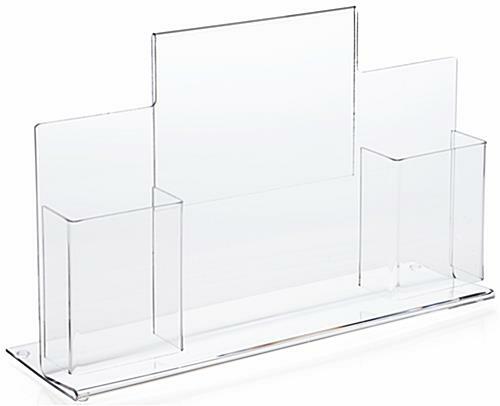 The acrylic holders accommodate 4"wide literature. 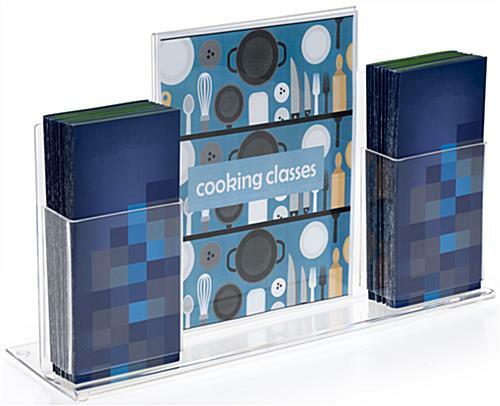 Great as a countertop display or picture frame! Great display unit to promote multiple services. Thanks for the great review, Barbara! We hope you shop with us again soon. 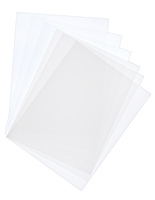 i received this product quickly after i ordered it and its beautiful and durable. i look forward to ordering more of this product in the future. the only catch is the price, a bit expensive for what it is. I ordered two of these to set up marketing materials for my senior apartment community in other local businesses. They arrived with no assembly required, no cracks (shipping package was secure and safe), and they look clear as glass. 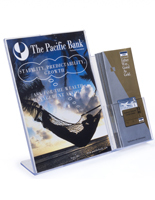 The center piece accommodates a letter-size paper so you can customize your message, design, and presentation. 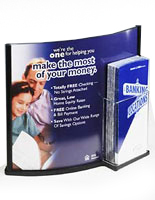 The brochure holders on either side easily fit tri-fold brochures, and even a bit larger for custom printing jobs. The online ordering was easy. The shipping was quick. 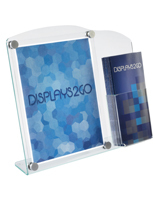 I will definitely order more from Displays2Go. Thanks for the feedback, Shawn! We hope to hear from you again in the future and thank you for your repeat business.